On St. Patty's day, everyone loves to be Irish. Drinking beer before noon, decorating your body with temporary shamrock tattoos (amongst other things)... what's not to love about being Irish on March 17? If only I felt the same way about my partial Irish heritage the other 364 days of the year. My mom's dad was a full-blooded Irishman. When I was a kid, I remember coming home from school, sitting with him in my grandparent's living room, telling him about what I learned at school that day. He always sat reclined in his favorite armchair. I still remember him that way: sitting in his armchair, his legs poking out from underneath a wool blanket--legs that were white to the point of translucence. If I had to guess, I'd say my grandpa's skin tone would have been classified as Fitzpatrick Type I. The Fitzpatrick Skin Type scale is a system used by dermatologists--and by tanning salons--to determine how your skin will react to sun UV radiation. Very fair skin is classified as Type I and on the other end of the spectrum, very dark skin is classified as Type VI. Many of us Irish folk, with fair skin, light eyes, and light hair, are classified as Type I or Type II, which means we're more susceptible to sunburns. Lucky us, we're also lighter more likely to develop skin cancer. The tanning bed industry claims that they will not sell UV tanning sessions to patrons with Fitzpatrick Type I skin. Tanning bed users with Type II or III skin, according to Tanningtruth.com, should only tan up to three times per week, starting with three-minute sessions. I can tell you from experience, tanning salon operators in Oregon, New York, Pennsylvania, and New Jersey have not limited me to three times weekly, three-minute tanning bed sessions, even though my skin tone is naturally Type II. According to a study conducted by several congressional representatives which was published just last month, 51% of tanning salons denied that indoor tanning would increase a fair-skinned teenagers risk for cancer (based on a survey of 300 salons nationwide by congressional interns). Quite the opposite, actually. Four out of five salons surveyed said that tanning would actually be beneficial to a teenage girl with fair skin. Some went as far as to say that using a tanning bed would prevent cancer. Why such a discrepancy between the science, FDA regulations, claims by tanning industry lobbyists, and salon owners and operators? Whether you're Irish or just pretending to be for the weekend, I hope you have a safe and happy St. Patrick's Day. If indeed you do have a bit o' Irish blood in you, be sure to keep slapping on the SPF, keep up with regular skin checks, and stay out of tanning salons. 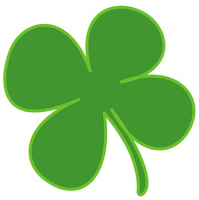 Call it "unluck" of the Irish, but us fair-skinned folks have a higher risk of developing melanoma and other skin cancers. Great post Katie and great blog. It is so important for young people to hear this message from someone their own age. Keep up the great work. So very true!! Keep spreading awareness Katie!!! I do not leave a leave a response, however I browsed some of the comments on "Unluck of the Irish". by brain dead people? :-P And, if you are posting on other online social sites, I'd like to follow everything fresh you have to post. irritable when you aren't finding the sleep you need. Web MD: Does Your Child Snore. The Sony Ericsson Xperia Neo V price in India will be announced at Rs 17,450. 0), allowing CPU operations to be emulated roughly twice as quickly.